Are you a baby boomer or in a category that classifies you as a senior and thinking of relocating? Or retiring? Or both? Make your next place of residence Santa Fe. I am Anthony Atwell and I am a Senior Residential Specialist and Certified Residential Specialist and I’m ready to serve your lifestyle needs and to field your many questions regarding lifestyle choices in the most beautiful city on Earth — Santa Fe, New Mexico. Let’s start with one of the main reasons you’ll love living in Santa Fe. It’s the literally endless number of activities. They are as unlimited as the beautiful places to see in the region. Few places on the planet are more fun than Santa Fe, and few places are more serene. The area has a beauty and stillness found almost nowhere else. Need special financing for your new home? I can help. Do you have special health care needs or have someone in the family in need of health care. I can help you with doctors, hospitals, alternative care, home care, assisted care, hospice care and more. Some of you will need close access to these to support your daily lifestyle. Others of you don’t need care that close and can live in the area and not necessarily right in Santa Fe. Many beautiful homes can be found within a 20-minute commute of the city. Many relocating in Santa Fe will move here with a parent and a separate living situation will be required. This is an area I can help you with, too. 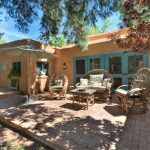 Once you find that special home in Santa Fe, the one that is perfect for now, you wonder if it will be right for you when you’re no longer able to get around as you do now. It leads you to question if the home can be prepared for that time of your life. That beautiful home that is perfect for now can be made perfect for then. This, too, is an area of my expertise. Whatever your needs, I am here. I am your Senior Residential Specialist and my training will help facilitate your changing needs in the Santa Fe real estate marketplace. First let me help you move to Santa Fe. Once we’re done with that, I’ll give you a tour of the many activities, arts, music and associations in Santa Fe. On this post you’ll also find health help, media information, home remodeling and repair help and more. I belong to an organization called Certified Residential Specialists. We are the elite real estate agents and brokers in the United States. Our agents and brokers are highly trained and ready to serve your needs. Let me refer you to my CRS colleagues based in your area. You’ll find they are more than able to help you sell your current home, and at the very least you’ll get a complimentary market analysis of your home. 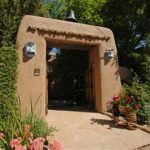 If you’re just moving here, or if you’re relocating after living here, there are several of ways finance your new home in Santa Fe. Here are a few colleagues. They can get you headed in the right direction and very quickly get your home financing needs done. Moving to a new area can be a challenge. Lots of help is available. Some people currently living in Santa Fe may not even be aware of some of these important agencies and resources. Santa Fe and the region is a recreation paradise and offers unlimited opportunity for relaxation and fun. Santa Fe and the words “lots to do” have lots in common. If you are in the mood to volunteer there are many excellent organizations to assist. Or if you need assistance, help is a phone call away. Though we live in a do-it-yourself society, sometimes we can’t do it for ourselves. When that happens in our homes, we need help. Here are a couple of places you can go in that situation. Sometimes we need health help. It happens. When it does, Santa Fe offers a lot of choices and alternatives. All kinds of retirement help is available to you in Santa Fe. Here are just a few of your many choices. Life’s ending happens to all of us. When you’re faced with that most difficult of times, Santa Fe has help. My friends, it has been a pleasure to give you this mini-tour of the most beautiful city in the nation. It is plenty of information and will keep you busy until you arrive in Santa Fe. Give me a call. Let me set up a special tour of Santa Fe homes just for you. I’ll pick you up when you get here. ← Have you Tried Relocation Therapy?